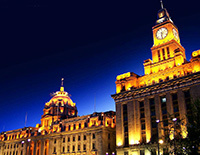 The metropolis Shanghai is a city evokes much history, glamour, mystique and exotic flavor. There are many top tourist attractions to see and featured activities to do. You’ll never get bored no matter in daytime or at night. Visitors will surely be amazed by the food, the people, the European street, art deco buildings, the narrow alleys and the sense of purpose. Shanghai sits on the south edge of the mouth of the Yangtze River. 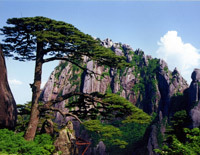 It is also well connected with Suzhou, Hangzhou and Huangshan. In 3-6 days, you could combine your Shanghai day trips with water towns, Suzhou, Hangzhou and Yellow Mountain to see the best of the best! 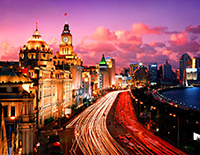 Features: Explore the best of Shanghai in this 3 days Shanghai tour package! You’ll not only see the modern part of Shanghai, but also deep into the local classic Chinese gardens and temples to appreciate the side of Shanghai. 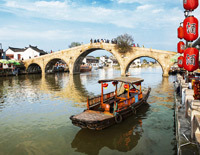 Features: Take the best Shanghai water town tour in 3 days! This trip offers not only to see the modern side of Shanghai but also the traditional side in Zhujiajiao Water Town. 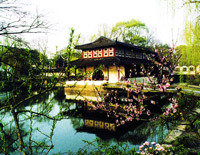 Features: This is the Shanghai Suzhou Shanghai round trip to visit the two famous cities in Jiangnan area - Oriental Paris and City of Gardens in 4 days. Features: This tour is well designed with a combination of cityscape and natural scenery. In 5 days, you'll visit the Bund, Shanghai World Financial Center, Yuyuan Garden & Bazaar, Shanghai Urban Planning Exhibition Center as well as West Lake and Wuzhen Water Town in and around Hangzhou. Features: Different types of attractions and landscapes are presented in this trip. Visit the modern Shanghai to get a general idea of China's future; take day trip from Shanghai to Huangshan and enjoy fantastic natural scenery in Yellow Mountain; pay a visit to the UNESCO World Heritage Site - Xidi & Hongcun Ancient Villages before you leave. This trip allows visitors to discover some of the most stunning natural and super-modern elements in China. On your visit to Shanghai you will experience the future of the world and on your cruise down the Yangtze River, you will discover just how amazing Mother Nature can be. If you have already visited Beijing and Xian, yet still want to explore more of this amazing country, this tour is for you. Our 7-day Shanghai Yangtze cruise tour will allow visitors to discover some of the most stunning natural and super-modern elements in China. Would you like to experience the China's yesterday, today and tomorrow? Take this 12 days China tour and you will witness its history, splendors and treasures in China's capital Beijing and ancient heart Xian; enjoy the astounding changes of today by cruising up the Yangtze River, and see China's future by touring the cosmopolitan metropolis of Shanghai. How is the 14 days amazing China Yangtze tour? You'll travel from East China to West China and explore deeply into the North China. Different destinations are with different ways to explore. Cycling, walking, hiking are included. 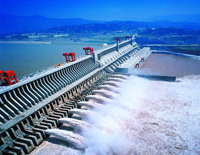 Also Yangtze River cruise and high speed train experience are also offered in the awesome tour. This trip is perfect for you who are interested in culture & nature, showcasing all the natural and cultural highlights. Explore the ancient achitectures and historic wonders in Beijing & Xian and futuristic metropolise in Shanghai. 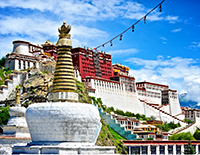 Cilmb to the last pure land to discover the Tibetan cultures & religion. 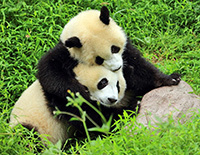 Get face to face with the giant pandas and spend some happy hours with the cute bears in Chengdu. You'll never miss any highlights in China in this 17-day tour!